The 2019 Masters will give us a chance to see Tiger Woods try to win his first major in more than a decade and Rory McIlroy attempt to complete the career grand slam. But plenty of dark horse players have a chance to contend. The Ryder Cup has long been a showcase for one dark horse, who’s never developed a particularly strong strokeplay reputation. The good news is that he can change that with four good rounds. In 2018, we saw Patrick Reed, who went to Augusta State, claim victory. In 2019, a native of Augusta enters the Masters playing some of the best golf of his long career. One dark horse recently provided golf fans with a glimpse of how good he can be. The 2019 Masters will give him a chance to bring his game to a new level on an even bigger stage. None of these players head to the 2019 Masters in the top-25 in the world. But despite that, these dark horses could all be factors at Augusta National. Three things really jump out in regards to Poulter that make us like his chances. One, while he wasn’t won since the Houston Open in 2018 (a win that put him into the 2018 Masters), he’s in good form. 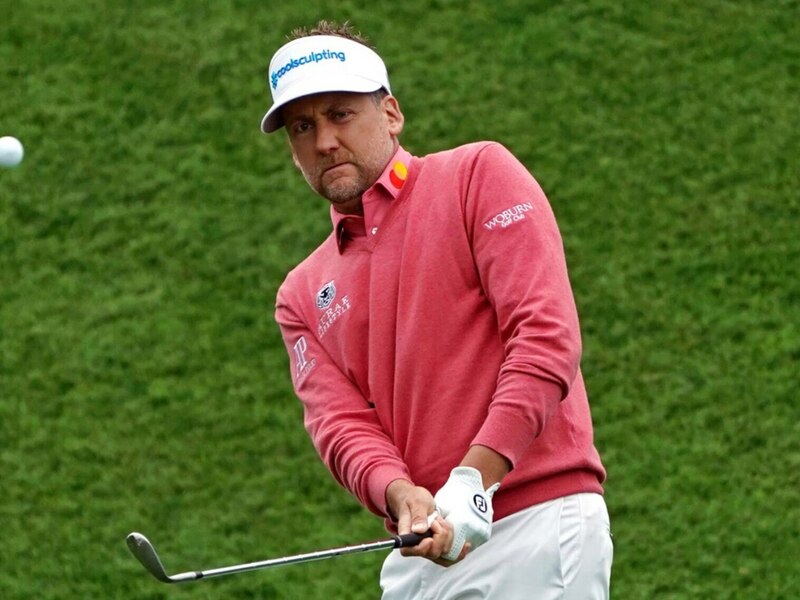 In 2019, Poulter has earned multiple top-three finishes, two other top-10s, and hasn’t missed a cut. Two, his history at the Masters is solid. Poulter has three top-10 finishes at Augusta and has only missed one cut in 13 tries. If Poulter can make the cut and get his putter going over the weekend, he’s in with a chance. Li finished T32 at Augusta in 2018. On the surface, a T32 at Augusta may not look like much. But we must remember two things. One, that was Li’s first ever Masters. Two, he was only 22. If you’re banking on Li, it is a risk. He hasn’t shown a great deal of week in and week out consistency yet. That said, we’re talking about a 23-year-old who’s already notched six worldwide wins, five of which were by at least three strokes. If he’s firing on all cylinders, he can hang with any golfer in the world. It’s hard to expect much more from a dark horse. Holmes’ 2019 season has been a mixed bag. He’s missed four cuts in seven events. But he also won the Genesis Open, which is one of the stronger fields of the early season. That said, what we really like about Holmes is his power. Augusta usually favors the long hitters. There have been exceptions (ie: Zach Johnson, Trevor Immelman and Jordan Spieth). But more often than not, the Masters is won by people who can shrink the course. If that trend continues, it will play right into Holmes’ strength. Coming out of the PGA Championship, 2018’s last major, Smith was No. 49 in the world. Heading into 2019’s first major, he’s raised his ranking by more than 20 spots. Smith has had a string of strong finishes since last August, including a win at the Australian PGA Championship. Perhaps more impressively, he’s missed only one cut in that stretch. Smith also has a good (albeit brief) history at Augusta. He’s 2-for-2 in made cuts and finished T5 in only his second trip to the Masters last year. Six years ago, Adam Scott became the first Australian to win the Masters. With his power game, Smith can absolutely become the second. There’s some good news and bad news with Howell. The bad news is that he hasn’t played the Masters since 2012. The good news is that he’s still played in the tournament eight times. When we combine that with the fact that he was born and raised in Augusta, we’re not too worried about the course catching him by surprise. Howell’s recent play is also encouraging. He’s made 10 straight cuts. In that time he has a win, two other top-10 finishes, and nothing below T35. Howell is entering his hometown event on a nice roll. Not unlike Li, Kim is a little bit of a roll of the dice. He’s already missed three cuts this year, so inconsistency is a risk. That said, it’s a risk we’re willing to take. First off, Kim finished T24 last year in only his second trip to the Masters. So, he’s got comfort with the course. Beyond that, Kim has two PGA Tour victories. And not only is he capable of winning, but Kim can dominate. One of his wins came by five shots. The other, the 2017 PLAYERS Championship, no less, was a three-shot victory. That’s a solid resume for a 25-year-old to be bringing to Augusta. After being one of golf’s most promising young players, Bradley’s game fell into a bit of a slump. But over the last two years, he’s really shown good form. Prior to 2018, Bradley had never missed fewer than four cuts in any individual season. But between 2018 and 2019, he’s missed only three combined cuts. He’s also posted a won and five other top-10 performances in that time. The inconsistency has doomed Bradley in the past. But that looks like a thing of the past, which is highly encouraging. Bradley definitely has the tools needed to compete at Augusta. While there’s always amount of reservation about someone teeing it up at Augusta for the first time, Bjerregaard’s recent play does a lot to ease those concerns. Most recently, Bjerregaard defeated Tiger Woods at the WGC – Dell Technologies Match Play en route to a fourth place finish. That performance really clued casual fans into something that’s been pretty apparent for a while — Bjerregaard is a really good player. Going back to the Czech Masters at the end of last August, Bjerregaard has six top-10 finishes. That includes a win at the Alfred Dunhill Links Championship. That’s quite a hot streak for Bjerregaard to be taking into his first Masters. Since missing the cut at 2018’s British Open, Snedeker has been on a run. In that time, Snedeker has missed only one cut, won a tournament, finished second in another, and finished T5 at THE PLAYERS Championship. Snedeker’s game s such that he’ll need to play mistake free golf. The good news is that Sendeker has shown in the past that he can do that at Augusta (he has three top-10s, including one as recent as 2016). Four rounds of smart, steady golf will definitely make Snedeker someone to pay attention to during the second nine on Sunday. Matsuyama’s game took a bit of a drop for a while. But not too long ago, he was one of the best in the world. At 27, he already has 14 career wins. And while Matsuyama hasn’t won since 2017, he has spent the better part of the last year finding his old form. He missed the cut at last year’s British Open, but has played the weekend in every tournament since. That’s a stretch that includes six top-10 finishes. Matsuyama has also finished in the top-20 in each of the last four Masters. He may not hold the same ranking that he once had, but Matsuyama can certainly be in the mix as the 2019 Masters.